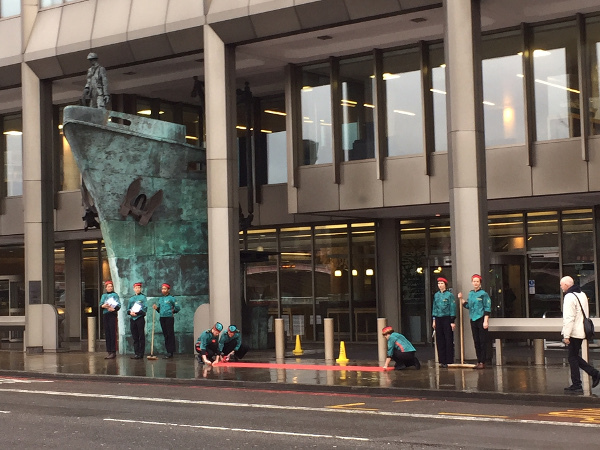 On Tuesday, the Campaign against Climate Change joined others outside the International Maritime Organization, at the start of crucial negotiations to determine how (and whether) shipping carbon emissions will be cut. If the shipping industry were a country, it would be sixth in the list of carbon polluters, between Germany and Japan. But because the Paris climate agreement is based on nationally determined contributions from member countries, as yet it has no specific obligations to cut carbon. If shipping emissions continued to grow, it could be 17% (almost a fifth) of the world’s total emissions by 2050. 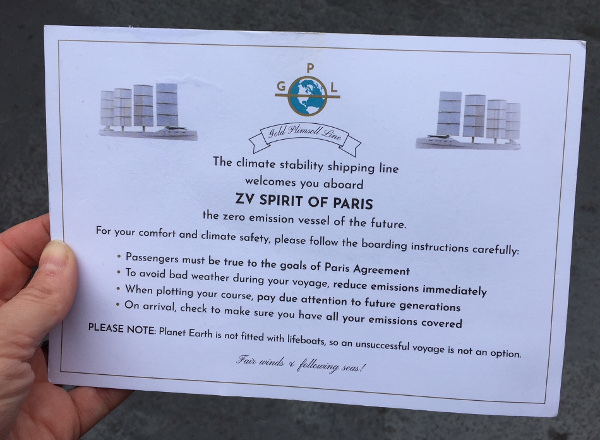 The Marshall Islands have proposed that the IMO should aim for zero emissions by 2035 while a group of EU, Pacific countries and NGOs are arguing for at least 70% (and aiming for 100%) by 2050. 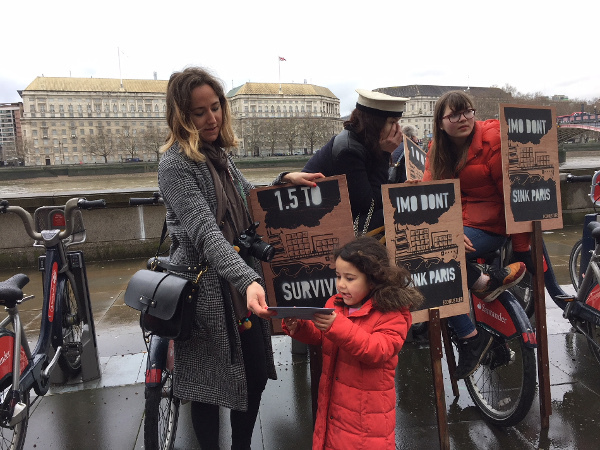 But Brazil and some other countries oppose any absolute cap on carbon emissions, and others are arguing for a weak compromise deal not compatible with the Paris climate agreement. 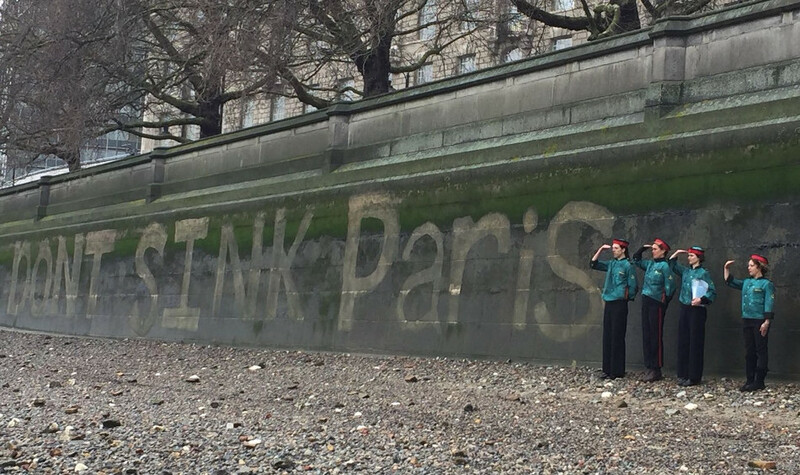 Ship stewards welcomed delegates aboard the 'Good Ship Paris', handing out boarding cards with instructions 'for your comfort and climate safety', while on the other side of the Thames, someone had cleaned sections of the wall to reveal a message: "IMO Don't Sink Paris".